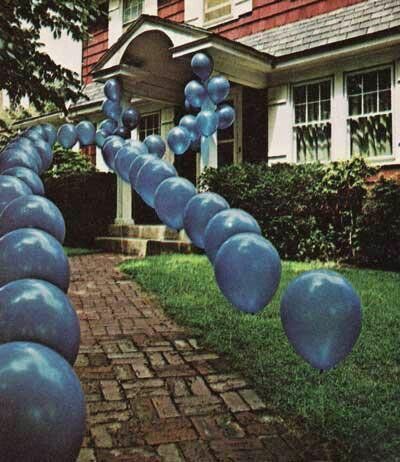 Line your walkway with balloons in the color scheme of your choice! Helpful tip: use golf tees to stick them in the ground. 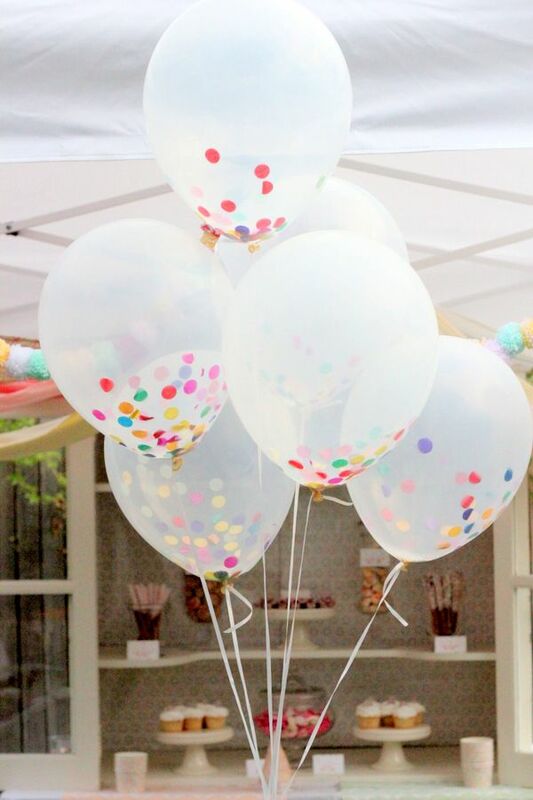 Fill translucent balloons with confetti before filling them with helium. The results? Confetti-filled balloons! 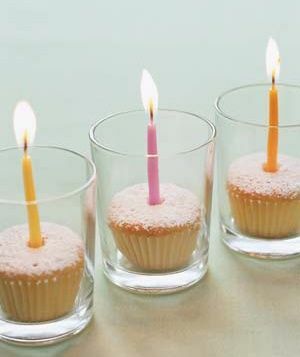 Place cupcakes in candle votives and light a birthday candle in each one. Line these up on a long table or gather several together in the center of a round table. 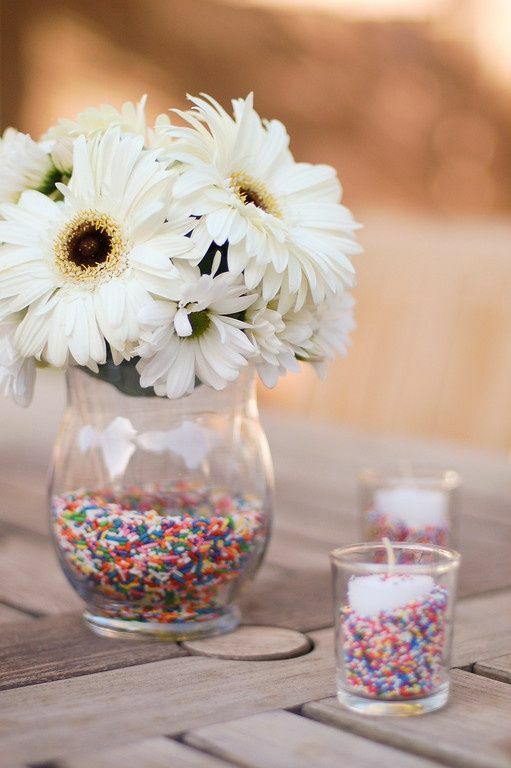 Fill votives and vases with sprinkles before placing the candles and flowers in them. Make (or buy!) a cake with a solid color of icing. Cut-out the birthday age out of cardboard and place it in the center of the cake. 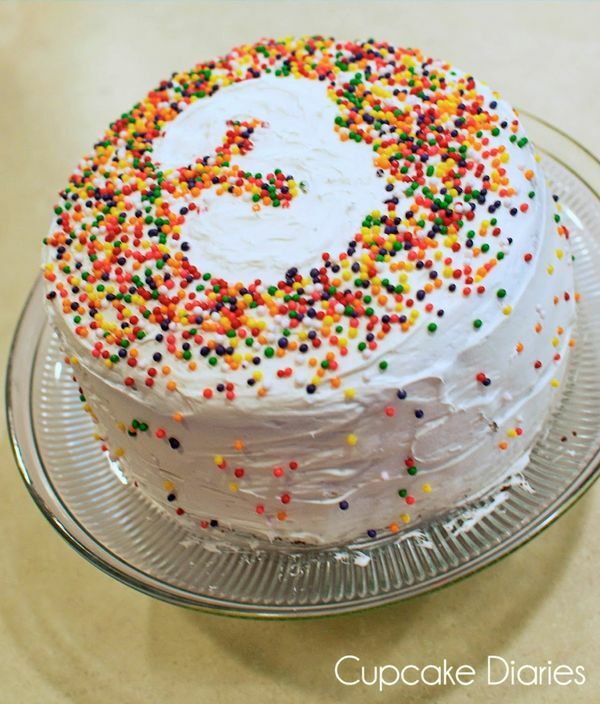 Pour sprinkles all over the cake and then remove the cardboard. 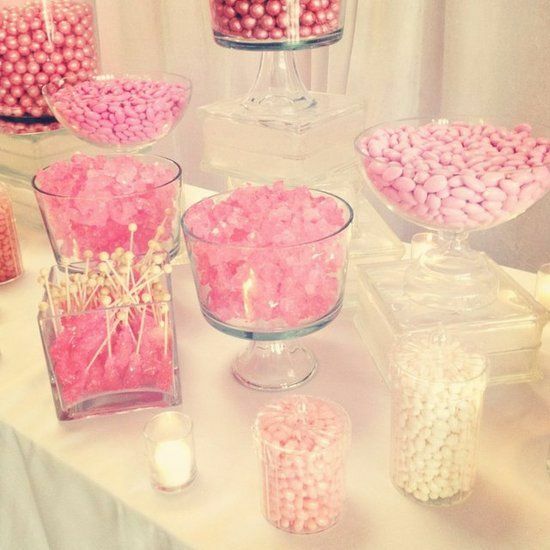 Set up a candy bar by filling vases and jars with the guest of honor's favorite candies! Hint: stick to a 1 or 2 color palette to go with the colors of your party.